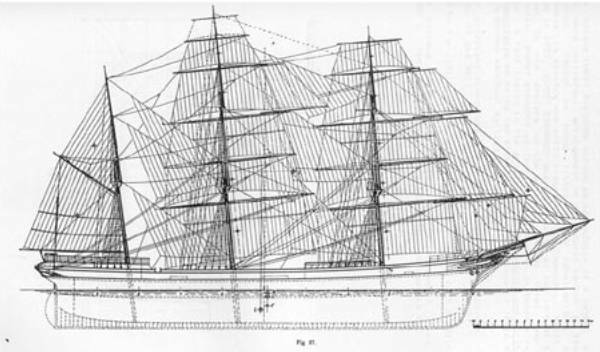 This web page provides information on a book called the Masting and Rigging of Ships that I have translated from the German. The book was originally written in 1903 by the German shipbuilder, Friedrich Ludwig Middendorf. I hope to publish the book in the near future. If you are interested in knowing how you might obtain a copy of the book, please email me on mflapan@boatregister.net.